Traditional Hatha and Ashtanga yoga, according to Sage Patanjali and the Vedic and yogic scripture, as well as Vinyasa flow. Kriyas, a Sanskrit term meaning "cleansing" practices. Pranayama practices which teach healing breath - a slow, rhythmic and diaphragmatic breath that stimulates inner peace and deepens self-awareness. 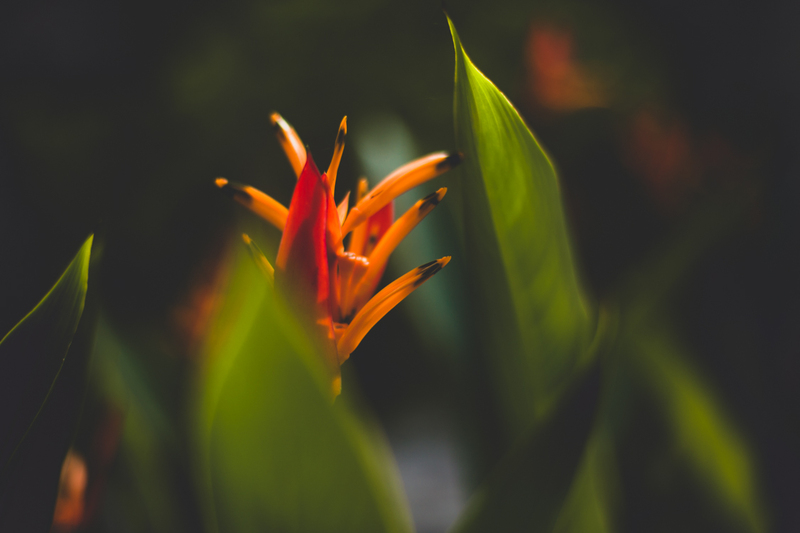 Meditation and Yoga Nidra practices to train the mind and induce a state of consciousness so you can achieve both physical and mental awareness, emotional and spiritual self-development. You will come away with tools for a more fulfilling and effective modification of your lifestyle, including juicing and yogic diet. Prepare to experience a yoga retreat or TTC like none other. These worldwide retreats and TTCs will attune you to relaxation that will activate your frontal cortex and lead you to spiritual discovery and harmony with self. You will also enjoy region-dependent excursions such as temple visits, hiking, river rafting, zip-lining, horseback riding on the beach, local sightseeing and other heart-opening experiences. Customizable Retreat Packages: To suit your needs. Meals, accommodations, asana classes, activities / excursions, ground transportation to and from airport (additional cost), will be provided. Airfare not included. Double Accommodations starting at $195 USD or EUR daily. 7-Day Retreat: Meals, accommodations, asana classes, activities / excursions, ground transportation to and from airport (additional cost), will be provided. Airfare not included. Double Accommodations starting at $1,340 USD or EUR. 10-Day Retreat: Meals, accommodations, asana classes, activities / excursions, ground transportation to and from airport (additional cost), will be provided. Airfare not included. Double Accommodations starting at $1,870 USD or EUR. 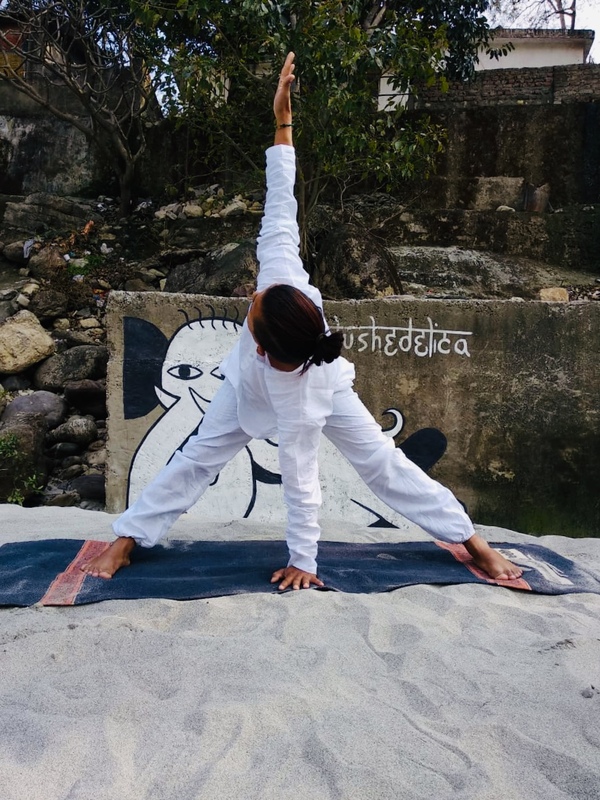 21-Day 200-Hour Yoga TTC: Fees include meals, accommodations, course materials (notebook, kriya cleansing kit), asana classes, practical and theoretical classes, activities / excursions, ground transportation to and from airport (additional cost), will be provided. Airfare not included. Double Accommodation: $3,675 USD or EUR. 28-Day 300-Hour Yoga TTC: Fees include meals, accommodations, course materials (notebook, kriya cleansing kit), asana classes, practical and theoretical classes, activities / excursions, ground transportation to and from airport (additional cost), will be provided. Airfare not included. Double Accommodation: $4,410 USD or EUR. 49-Day 500-Hour Yoga TTC: Fees include meals, accommodations, course materials (notebook, kriya cleansing kit), asana classes, practical and theoretical classes, activities / excursions, ground transportation to and from airport (additional cost), will be provided. Airfare not included. Double Accommodation: $7,720 USD or EUR. Single accommodations are available for added cost. Please inquire: info@swadhyayayogaschool.com. Swadhyaya Yoga School provides a safe and secure environment for our students and guests. Swadhyaya Yoga School provides double occupancy accommodation for guests who participate in our yoga courses. Students and guests are welcome to fast. If you are fasting on any particular day, please inform management so we may accommodate you, as well as avoid food wastage. If you plan to eat off of premises, please inform management so that we may avoid food wastage. Yoga asana, pranayama, meditation and yoga nidra classes are intended for beginner and intermediate levels. Couples who wish to participate in a retreat or TTC program can enjoy a 10% discount on double accommodations. All guests are responsible for their personal belongings and valuables. Swadhyaya Yoga School is not liable for any damage due to natural disasters or theft. Swadhyaya Yoga School is not responsible for any mishaps which may occur prior to courses or retreats. Cancellations of courses or retreats are accepted; however, booking fees are non-refundable. *Non-refundable booking fee may be applied toward other scheduled courses or retreats. No additional fees are assessed for a cancelled course or retreat. 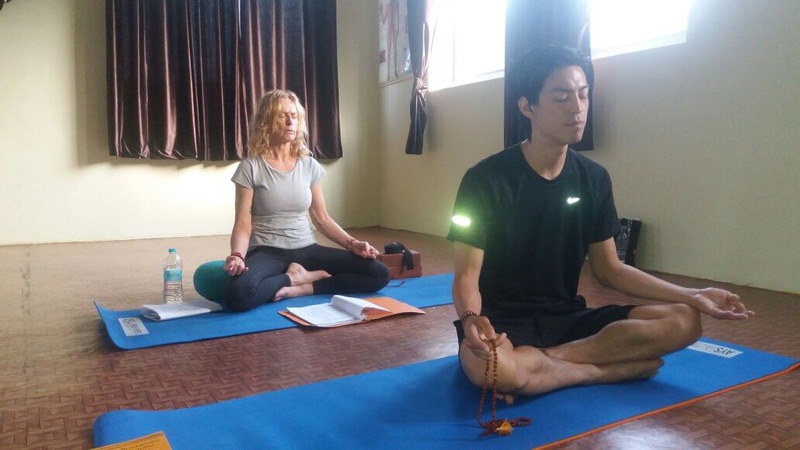 It is the sole responsibility of the guest to inform Swadhyaya Yoga School staff by email if the need arises to cancel your course or retreat, as well as if you will be applying your deposit to another course or retreat. Establish a strong foundation in yoga with SYS's 200-Hour Yoga TTC. Deepen your yoga practice and be a role model with SYS's 300-Hour Curriculum. SYS offers 3 retreats: Customizable, 7- and 10-Day Yoga Retreats. Choose the package that's right for you. Whether it is a 21-Day, 200-Hour Teacher Training Course, a 28-Day, 300-Hour Teacher Training Course, or a 49-Day 500-Hour Teacher Training Course we have a course that's right for you. Course fees are all-inclusive of accommodations, meals, course materials. We also offer 50- or 100-Hour non-certified courses. 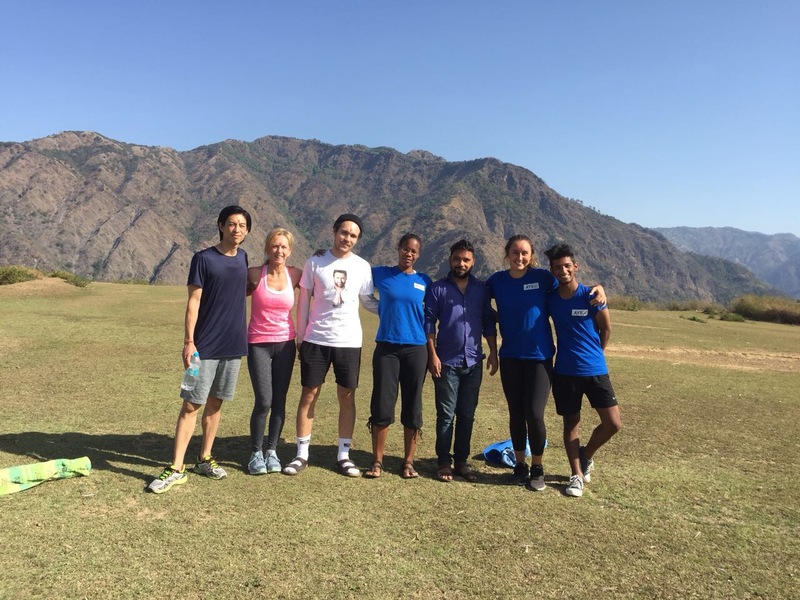 Swadhyaya Yoga School offers customizable, 7- and 10-Day Retreats. A great way to plan yoga into your busy schedule. Join others as they elevate their practice, be inspired, and relax with Swadhyaya Yoga School Retreats. Complete a Registration Form and contact us for more information. 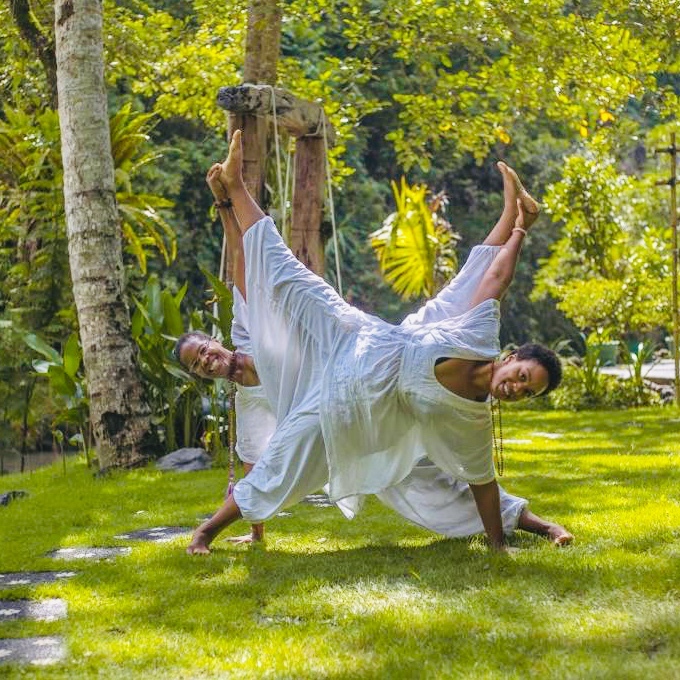 Register now for the 50- or 100-hour non-certified or 200-, 300- or 500-hour certified yoga teacher training course of yoga retreat in Bali, Indonesia.